So. How’ve you been? Last week got away from me from the word go, and after the big Siren FM ‘Spirits of Christmas’ On Air Festive Fun Extravaganza, I went completely MIA. Very bad form of me, but there was a reason! The reason being that a cold gripped me and wouldn’t let me go! And at the weekend, it was time for the Festival of Romance ~ so now it’s Monday again and I’m asking myself, where did the last seven days go? Well. This is the rock star lifestyle for sure, right? So here’s a fitting song. I know I shared Bon Jovi last week already when sleep seemed the most elusive resource of all… but hey, if this band will write the most appropriate songs for the soundtrack of my life, I can’t help it, right? Here goes. STAY TUNED (i.e. 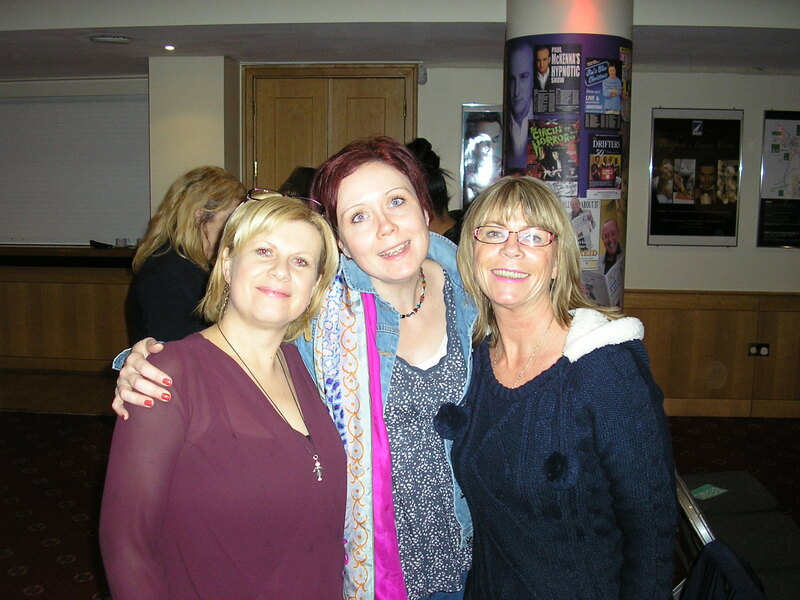 read on) for your Radio Party Podcast Linkies and some photos from the weekend’s Romance Fest! The winners of the Spirits of Christmas On Air Festive Fun Extravaganza Party were announced live on the show. You can also hear the announcements in the podcast, but let’s give the winners a big cheer here too. 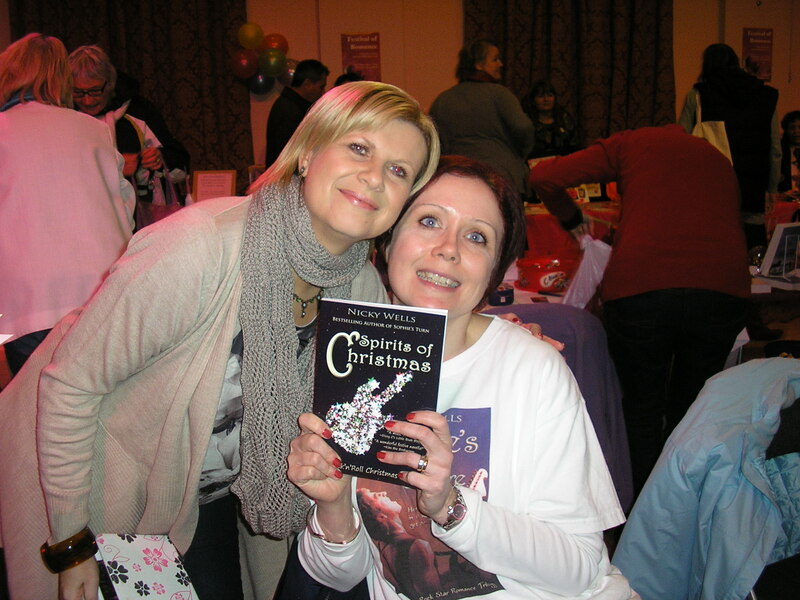 Rachel Miles and Lheanne Spicer ~ One signed paperback copy of Spirits of Christmas each! Thank you to everyone who entered. I was stunned, as always, by the response to this giveaway, especially given the very short countdown time of only three days. You all ROCK and I feel the lurve! 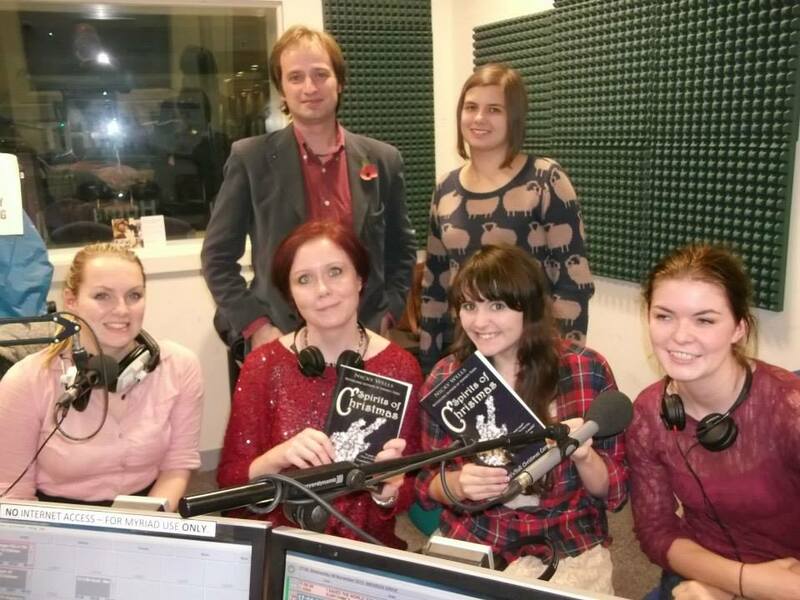 The Party Team: Ed Wellman and Katie Grimason; and Holly Cox, myself, Emily and Rosie. We rocked it! It was rockin’ awesome! And is if that wasn’t enough fun for one week, after two days of languishing on the sofa with a dreadful cold, I made my way to Bedford for…. 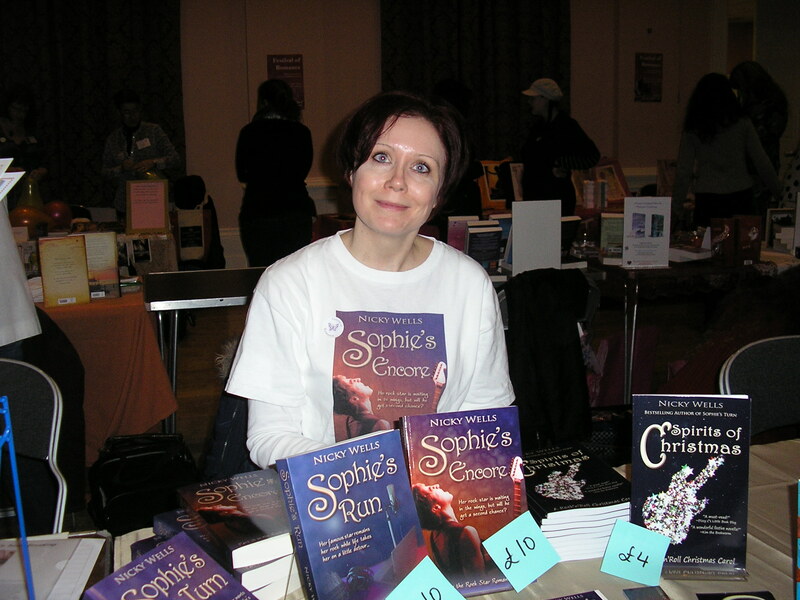 Saturday morning saw me arriving (very nearly) bright-eyed and thoroughly excited in Bedford for immediate setting up of table at the Romance Fair. This year, we were hosted in the Harpur Suite, and the punters started arriving as soon as the doors opened at 10 a.m. The fair passed faster than you could say “Romance Fest 2013” with a steady stream of visitors passing by my stall. Evidently I did a reading! I chose a little passage from “Spirits of Christmas” that was suitable for the “Royal Baby Shower” theme. And evidently, I opened my reading with a short burst of song. LOL! The gala/ball was splendiferous! My congratulations go out once again to all the award winners, you totally rocked it! I’m still reeling from all the fun and information packed into the industry event on Sunday. And it was amazing meeting all manner of readers and friends, many of whom I knew from Facebook or Twitter but hadn’t hitherto met face-to-face: JB Johnston, Carol Wright, Heidi Bartlett, Kiru Taye, Talli Roland, Manda Ward, Glynis, Sheryl Browne, Les Moriarty, Pete Cook, Linn Halton, Mandy Baggot, Fi Harper, Kate Allen, Cat, Jane Lovering, Terri Nixon, Lyn, Caroline… the list goes on and on! If you missed it this year, I’d thoroughly recommend you check out this fabulous event next year and: I’ll see you there! 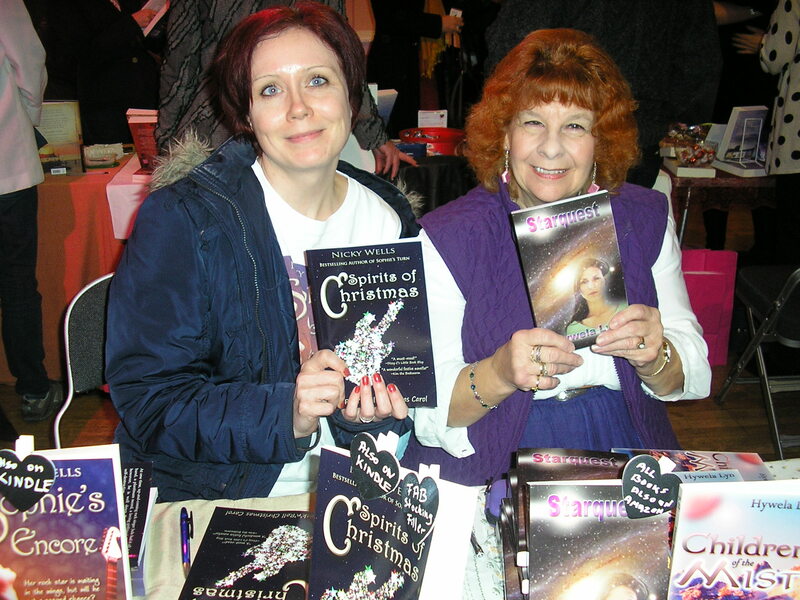 Two happy authors: Nicky and Lyn! Manda Ward, so nice to meet you! JB and Sheryl at the end of Sunday’s industry event… we can’t believe it’s time to go home already! It’s My Life! And I’m loving it! 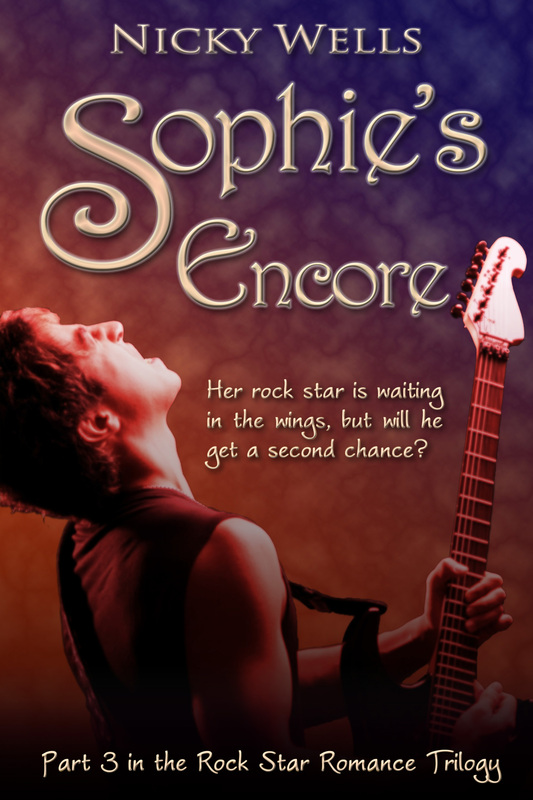 This entry was posted in Miscellaneous, Music Monday and tagged #romancefest13, Bon Jovi, Festival of Romance, It's My Life, Music Monday, Podcast, Rock, Siren 107.3 FM, Spirits of Christmas, Winners. Bookmark the permalink. 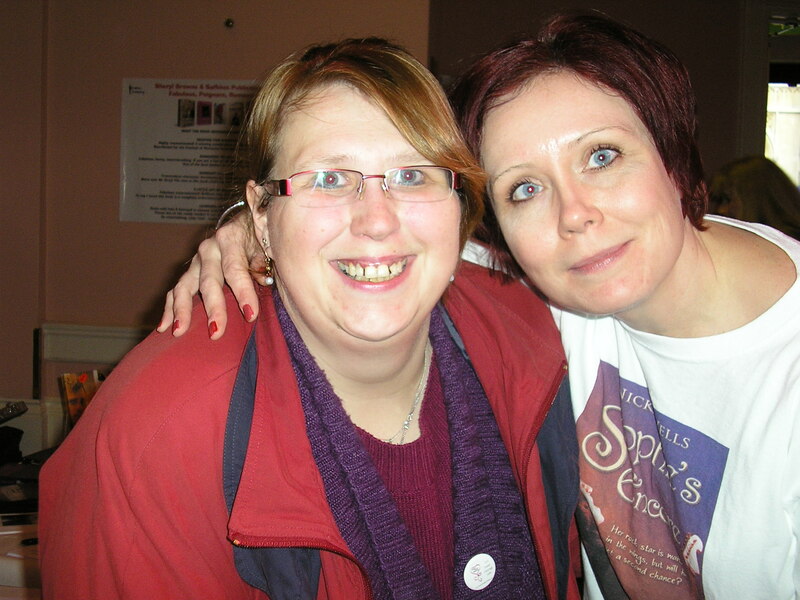 Hi Jo, it would have been even better if you’d been there too! Maybe next year?? We missed you! JB rocks. You rock. Everybody rocks, I’m feeling the lurve! Thanks for visiting and commenting today. Rock on! CONGRATS on the release of your latest romance endeavor, your “Sprits of Christmas” novella. 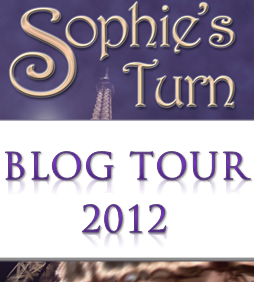 I envy the success you’re having as I struggle to get by debut YA Paranormal romance novel sold one copy at a time. I can imagine the amount of time you’ll be spending for the next few days making sure you’ve responded to all the comments which have been made here and elsewhere during your absence . In addition, it has meant I couldn’t visit or make my comments on the sites I usually do. So even with my OH home today I’ll endeavor to start my catching up today, that’s after I return to the arms of Morpheus for a few more winks. When I return to the land of the “living”, I’ll start looking at the sites I’ve missed looking at and responding to. Since I’m here right now I’ll be returning here first. Watch for my email later today. DEAL!!!! Say the word and you’re on. Always welcome here! Now wouldn’t that be fun? ?